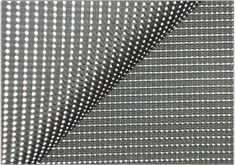 - Reflective yarn has not only the similar features as general thread,(however, not workable for sewing or embroidery) but also excellent visibility by glass beads. It is workable to make any design on the fabric and to weave. 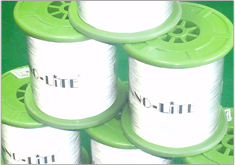 - Apply to ribbon, strings, outdoor rope shoe lace, knit, webbing, zipper, woven fabric etc. 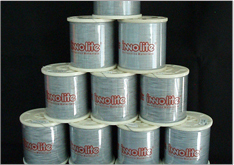 - We have Silver color and wide range of thickness(0.37mm~3.0mm) to be available for many uses.